Does All Risks insurance policy covers war and strike risks? Institute Cargo Clauses (C), Institute Cargo Clauses (B) and Institute Cargo Clauses (A) are the most frequently used cargo insurance clauses. 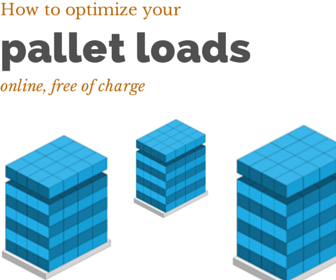 These cargo clauses are written by International Underwriting Association of London. Institute Cargo Clauses (A), which is also known as "ALL RISKS" insurance policy, offers widest range of risks coverage comparing to other marine cargo insurance types. 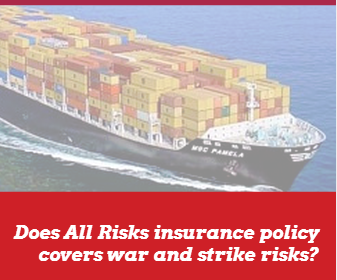 But does all risks cargo insurance type covers war risks and strikes risks? After reading this article, you should be able to reply whether all risks cargo insurance policy covers war and strikes risks or not? According to terms and conditions of Insurance Cargo Clauses (A), which is published by The International Underwriting Association of London (IUA), an ALL RISKS insurance policy covers all the risks of loss of or damage to the goods with couple of exceptions. General Exclusion Clauses: Misconduct of the assured, ordinary loss in weight or volume, ordinary leakage, insufficiency or unsuitability of packing including container stuffing, insolvency or financial default of the operators of the vessel, damages resulting from nuclear reactions can be gathered under this group. As can be seen above war and strike risks are not covered under all risks insurance policies. War and strikes risks are two major exclusion groups under Insurance Cargo Clauses (A) terms and conditions for an ALL RISKS policies. How to add war and strike risks to an ALL RISKS insurance policy? If you would like to get covered against war and strikes risks under Insurance Cargo Clauses (A) terms and conditions, you should buy Institute War And Strikes Clauses. How to use Institute War Clauses in marine cargo insurance policies? How to use Institute Strike Clauses in marine cargo insurance policies?